Hi there, I’m Tim and I’m the owner/editor here at Alpha Shooters. I started Alpha Shooters in 2017 to share my own photographic journey and experiences with shooting Sony, since then the site has evolved into a community and resource for Sony Alpha Shooters. 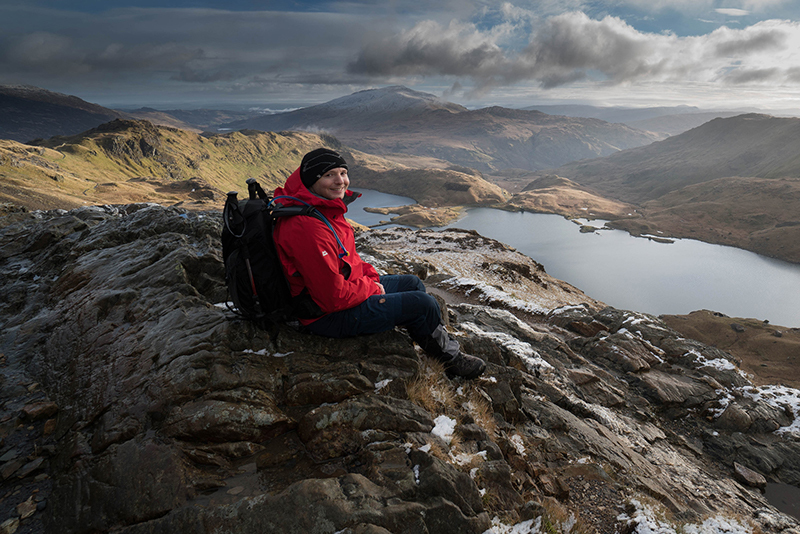 Beautiful Snowdonia. Shot with the Sony a6500 + E 10-18mm F4 lens. Grad filter added in Lightroom. So just a little about me. I live on a little wet and wind swept island called the United Kingdom. I’ve spent ten years of my life working for Hewlett Packard in the small town of Böblingen, South Germany doing very unexciting IT stuff. Thankfully my free time was a lot more fun and I’d often spend it snowboarding, mountain biking or hiking in the beautiful Alpine mountains. After ten amazing years in Germany gorging myself on Maultaschen and Currywurst I decided it was time for a change, so I said auf Wiedersehen to Deutschland and returned home. Since returning I’ve worked as a digital marketing consultant, mainly helping small businesses to grow their online presence. I’ve taken a casual interest in photography since I was a child, but it was just that, casual. In early 2017 I decided it was time to change that, so I finally took my camera out of auto mode and started learning how to get the most out of it. Although I originally enjoyed shooting landscapes the most, I’ve since discovered that I also love shooting wildlife (with my camera), sports and aviation. That said, I’ll happily point my camera at pretty much anything that gets me out into the great outdoors. I’ve been through quite a few different cameras over the years, mainly small compacts as they suited my sporty pursuits and I could easily clip them to my belt for fast shots when something caught my eye. 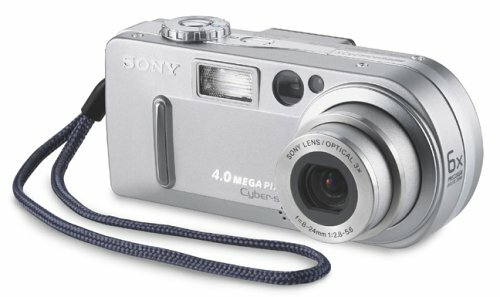 My first ever digital camera was the Sony DSC-P9 Cybershot which I purchased way back in 2002. I then swapped over to a Canon Powershot G9 (awesome little compact), briefly tried a Canon EOS 10D (far too big and heavy), so I ended up sticking with the G9 for a few more years. In 2013 I experimented with my first mirrorless camera, the Canon EOS M. But it turns out that I still wasn’t quite ready for swapping lenses so purchased a little Canon PowerShot SX700 HS. In 2016 I returned to Sony when I picked up the RX100 IV and was blown away by the quality of this tiny little camera, my eyes were now open again to the world of Sony digital cameras. I purchased the Sony a6000 and my first Alpha camera in early 2017. At the time I had no idea just how much this small camera would motivate me to improve my photography skills and also drain my bank account! I know, I quite possibly suffer from a bad case of GAS (Gear Acquisition Syndrome). But surely that’s better than the other form of gas? Whilst my collection of Alpha gear grew so did the questions that I had around the gear that I was buying. I found many answers by digging around in forums and reading reviews, but was disappointed that apart from Sony Alpha Rumors there appeared to be no real community or site focused solely on Alpha Shooters, hence Alpha Shooters was born. I also found it very frustrating to read camera and lens reviews where many of the photos presented had been post processed, often I wasn’t sure if I was reading a gear review or a review of Adode Lightroom. I almost always shoot RAW + JPEG, so my own images on this site will always include both SOOC (Straight Out Of Camera) JPEGS and also the RAW images. If any of my images have been post processed I will always say what’s been done. I only work on Alpha Shooters in my spare time, and it’s most certainly still early days here, but I genuinely hope to turn Alpha Shooters into a thriving community and the most helpful Sony Alpha resource on the planet. If you’d like to say hello or make any suggestions for this site, then you can message me here. I’ve also recently joined Instagram. Our growing Facebook Groups are also a great place to showcase your images and ask any questions that you may have. 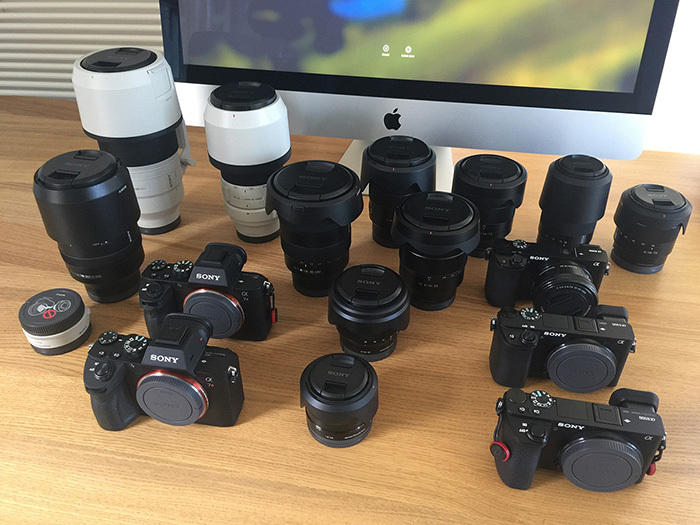 Although I’m clearly a fan of Sony Alpha gear, I also have plenty of love for Nikon, Canon, Fujifilm, Olympus, Leica and many other brands too. Competition is what drives innovation, without it we would all still be using Kodak box cameras and sending messages via carrier pigeon.